I find controversies have arisen due to my identifying Devanainampiya Theesan (Devanampiya Tissa) as a Tamil King. Let me briefly give my reasons for my conclusion. I use “Devanampiya Tissa” for easy understanding by the readers. 1. Sinhala as a language came into being after 6th Century AD. (Refer to Sigiriya graffiti). Devanampiya Tissa lived from 307 BC to 267 BC. His father was Mootha Sivan. Devanampiya Tissa lived about 800 years before the birth of the Sinhala language. Sinhalese are those who speak the Sinhala language. The Mahawansa refers to two Temples that existed over 100 years before Devanampiya Tissa. Professor Paranavitharana has identified one of the Temples as a Sivan Temple and the other as the living quarters of Brahmins. Thus even though Buddhism was introduced during the reign of Devanampiya Tissa the language in use at that time was a Dravidian language and certainly not Sinhala language. At least Devanampiya Tissa was a Demala Baudhaya! The Sinhala language came about essentially on account of the influence Pali and Prakrit words had on the local Dravidian language. Such effects of Prakrit on the original Dravidian Tamil language produced Kannada after 5th Century AD, Telungu in the 6th Century AD; and Malayalam in the 8th and 9th Century AD. Even the Sangam Tamil underwent certain changes since 6th Century AD. The influence of Pali in the formation of the Sinhala language was considerable while it was the influence of Prakrit which produced Kannada, Telungu and Malayalam. Thanks to Professor Malalasekera and others Sinhala language today has Sinhalacised lots of Hindi words in order to make their glossary adequate to deal with the changing world scenario. The use of certain words during Asoka’s time does not make those words Sinhala words. It only meant Tissa in Prakrit and Thisai in Tamil were used at that time. Sinhala language came centuries later. 2. The archaeological investigations that have taken place after 1970 have brought out the fact that the race, language, writing, religious beliefs and rituals, cultural history of the early people of Sri Lanka were similar to the South Indian cultural ambience of that era. Professor Sudershan Seneviratne has referred to the close resemblance between the Early Iron Age civilisation of South India and the early Sri Lankan civilisation. Kennedy refers to the people of that time as belonging to the same human species’ group. In 1999 certain Coins were excavated at Akkurugoda. Professor Iravatham Mahathevan has placed their time as before 2200 years. Professors Osmund Bope Arachchi and Raja Wickremasinghe have pointed out the “in” or “na’ sound as suffix to the names mentioned in the Coins which is peculiar to Tamil language. 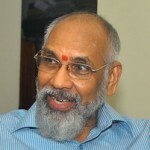 I am Wigneswaran. The name ends with “in” or “na”. This is peculiar to Tamil names. Some names on the Coins were Uthiran, Mahasaathan and Tisapura sada Nagarasan. It is significant that Mahawansa says Dutugemunu had to win over 32 Petty Tamil Kings in the South before meeting Ellalan in Anuradhapura. Thus Tamils and their language existed 2200 years ago even in the deep South of Sri Lanka. Hence King Devanampiya Tissa could by no stretch of imagination be called Sinhala speaking. There were no Sinhalese at that time nor Sinhala language. 3. At the time Buddhism was introduced into Sri Lanka in the 3rd Century BC, Prakrit and Pali were also introduced. Prakrit was the vernacular language used while Pali was scriptural. Such introduction took place in many countries where Buddhism was introduced in South Asia. While Prakrit was found in inscriptions elsewhere until about 5th Century AD, in Tamil Nadu the language used was essentially Tamil though the influence of Prakrit was at times seen. The unique literature of the Tamils flourished during this time around the birth of the Christian era. The Sangam literature is an example. The Purananooru refers to Poothan Thevanaar of Eelam, which meant Tamil poets from Sri Lanka too contributed to the literature of the Tamils at that stage. Thus Tamilian poets were existent around that period in the North – Eastern Sri Lanka. So were Tamil Kings. Thus it is no wonder that Devanampiya Tissa was a Tamil. 4. The name Theesaan was used not only in respect of Devanampiya Tissa but also with regard to many other kings. The word comes from the Tamil word Thisai – which means direction. One who ruled the area in a particular thisai or direction is what it meant. 5. Mahavansa never referred to any Sinhala King who ruled Anuradhapura. But it referred to Tamil Kings. Professors Saddhamangala Karunaratna and Ariya Abeysinghe have concluded that even before writings from King Asoka’s period were introduced into this Island the mode of writing from South India had already been introduced here. Parkar is of opinion after perusing the Tamil inscriptions found in Vavuniya Periya Puliamkulam that such Tamil writing and Tamil names found therein show Tamils lived there before the birth of the Christian Era. Professor Indrapala has referred to Tamils living as a human unit over 2000 years ago by reading the inscriptions found in Vavuniya, Anuradhapura, Ampara and Seruvil. So has Professor Iravatham Mahadevan referred to the presence of Tamils in Sri Lanka over 2000 years ago. Thus the language of Devanampiya Tissa was Tamil. 6. Finally let me refer to some interesting facts. There are no corresponding stories in Bihar nor Bengal nor anywhere else in North India akin to the story of a Lion King called Sinhabahu. There is no reference anywhere in Indian Texts to the exodus of 700 persons who were banished setting out from the shores of India at the corresponding time, and their reaching the shores of Sri Lanka. Hence the Mahawansa story of Vijaya and his 700 followers is a story hatched in Sri Lanka probably by the author of Mahawansa. Furthermore even if we take Mahawansa as a reliable historical source (which it is not) yet what about the band of 700 Vijaya men marrying 700 Tamil girls from Pandya Kingdom and the settlement of 1000 families who were skilled in 18 professions / occupations? Why are we not talking about the Pandyan influence on the Sinhalese community? It is interesting to note that number of Tamil Munis from Madurai who were brought in 300 or 400 years ago to Sri Lanka for Don Juan Dharmapala’s coronation did not go back to Madurai but were given lands here. They married locally and are today the progenitors of many Muni families. I do not want to refer to any particular family name since many such Muni descendants are either known to me or are my dear friends. I hope I have adequately explained myself. Any further questions from an advanced historical perspective must be addressed to our Professors both in the North and South. I mean real Professors not the pseudo ones!